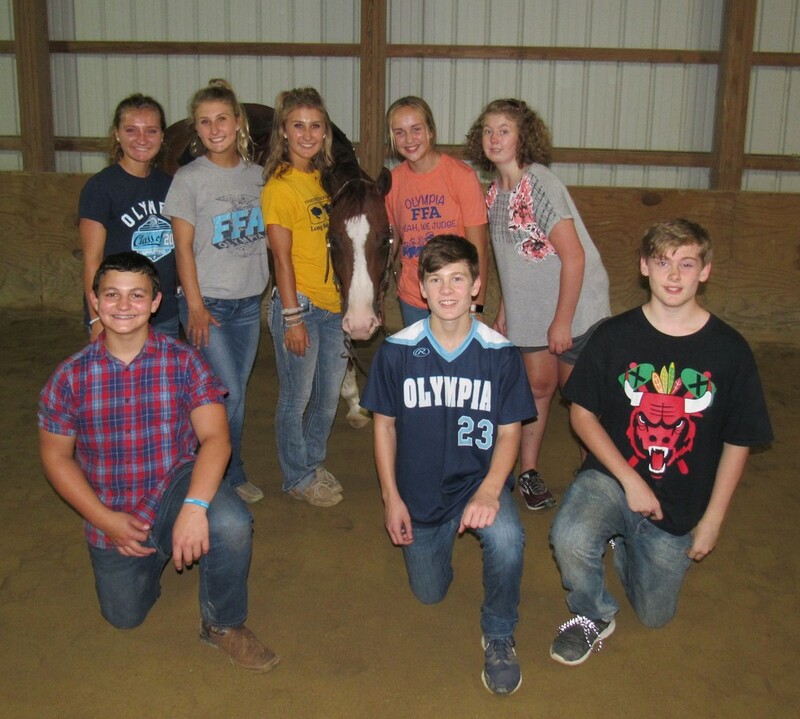 On Wednesday, September 5, eight Olympia FFA members competed at the Section 9 FFA Horse Judging Career Development Event (CDE) at Timber Creek Stables near Shirley, IL. The team placed 1st out of 23 teams. Alyssa Casey placed 3rd overall, Shelby Lynch was 7th, and Ryleigh Hilt placed 11th out of 82 individuals total. Other team members included Hannah Casey, Ruger Underwood, Alex Kindred, Dakota Birky and Brayden Daringer. FFA members judged six classes, two of which were halter classes. The final four classes were performance classes which included, Western Pleasure, Hunter Under Saddle, Western Horsemanship, and English Equitation. The horse judging team was coached by Alyssa Casey and Mr. Hoffman. The team will compete at the State Horse Judging CDE on Saturday, September 8th. The State CDE is held at Black Hawk East College.